Just three points separate Norwich and Birmingham in the Sky Bet Championship table but there could be a much bigger gap when the sides meet at Carrow Road. Norwich have had a difficult time over the last three months but last Saturday’s 3-1 victory at home to a strong Wolves side could be a turning point. Beating a team who had won four of their last six games will have given the Canaries a major confidence boost and has also taken them back into the top ten – five points adrift of the playoff places. 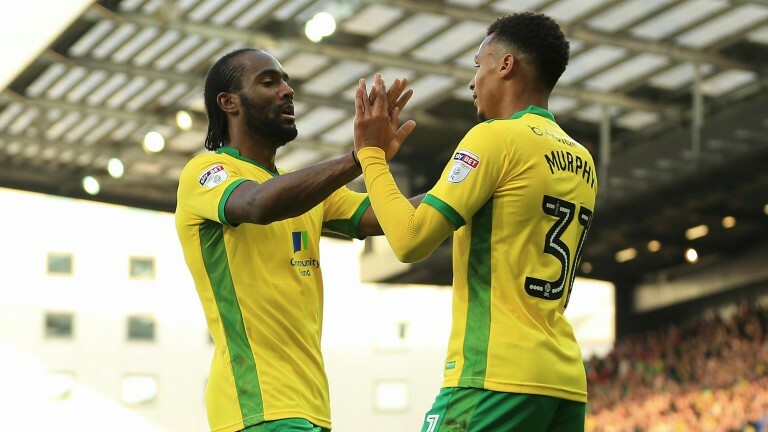 There is still plenty of time for Norwich to make an impact on the promotion race but the next few weeks will be pivotal for their ambitions with six league matches to be played in 22 days. Four of those games are against teams currently in the bottom nine, so Norwich have a chance to put themselves in a strong position. Birmingham are only eight points adrift of the top six but promotion talk has almost disappeared after a run of six league games without a win under Gianfranco Zola. The promised new investment has arrived with Birmingham snapping up Craig Gardner on loan and Emilio Nsue, Kerim Frei and Cheick Keita on permanent deals. But it is tricky to integrate new players halfway through a season and the campaign already has a transitional feel with Zola looking to bed down his tactics and philosophy before 2017-18. Birmingham may drop further down the table by the end of the season and could finish well below Norwich, who remain focused on the playoffs. Bolton’s home record of nine wins, three draws and two defeats has been crucial in establishing them in the thick of the Sky Bet League One promotion race and they look good things to see off injury-hit Charlton at the Macron Stadium. The Trotters are still awaiting their first win of 2017 but they have played just two league matches – a 2-2 draw at Coventry and a 2-1 home defeat to Swindon. They were below par in both of those contests but perhaps understandably so because they had their FA Cup matches against Crystal Palace to concentrate on. at Selhurst Park but manager Phil Parkinson will have taken positives from his team’s performance. Bolton’s match at Southend last weekend was postponed and the weather also put paid to Charlton’s scheduled clash at home to Scunthorpe. Charlton would have been missing four centre-backs against Scunny but Patrick Bauer’s return to training on Thursday is a timely boost for the injury-stricken Addicks and he could be involved at Bolton. However, star striker Josh Magennis remains sidelined and his absence will be keenly felt. Mansfield crashed out of the EFL Trophy with a 2-1 loss at home to Wycombe on Tuesday but have taken ten points from their last four games in Sky Bet League Two and can strengthen their playoff push with a home win over lowly Leyton Orient. Stags boss Steve Evans has brought in six players this month to boost Mansfield’s promotion hopes and will be looking to add more new faces before the transfer window closes. However, his team are already benefiting from greater competition for places. Mansfield produced one of their best performances of the season to win 3-1 at promotion rivals Cambridge last Saturday are looking like a side destined to finish in the top seven. Promotion was Leyton Orient’s pre-season target but a poor campaign has left them fighting for their Football League status. It is a scrap they are by no means certain to win and manager Andy Edwards will have to look for answers from within the squad as Italian owner Francesco Becchetti has suggested that the Os will not be delving into the transfer market. Edwards’s side have lost all three matches this year another defeat looks likely. Grimsby are another of League Two’s mid-table teams with high hopes of bursting out of the pack and clinching a playoff berth. The Mariners have won four of their last six fixtures and have a good chance of posting another victory at Stevenage. Reaching the playoffs was the aim for Stevenage a few weeks ago but they have lost five of their last six matches and will need to get their act together if they are not to be dragged into the relegation scrap.